Over 10 days starting on June 23rd, I will be walking the entire 177 miles of the Offa’s Dyke Path from Prestatyn on the North Welsh coast to Sedbury Cliffs on the Severn Estuary. To promote physical activity, teamwork, and collaboration across the NHS in Wales, I am extending the challenge to all Welsh Health Boards, Trusts, and Welsh Government to put together teams to join me for either the entirety of the walk or certain sections. I will be raising money for both the Cardiff and Vale Health Charity and my own charity, Improving Chances. Please donate if you are able to or join me on my challenge in June. You can do so either in person or, if you can’t make it to the path, virtually from wherever you are. More information about how to join in will be available soon. The Offa’s Dyke Path runs for 177 miles along the Anglo-Welsh border. It follows and is named after the dyke erected by King Offa in the 8th Century to separate his Kingdom of Mercia from what would later become Wales. The trail connects Prestatyn on the North Welsh coast with Sedbury Cliffs, near Chepstow, on the Severn Estuary. It passes through 3 Areas of Outstanding Natural Beauty, 8 counties and crosses the border more than 20 times. 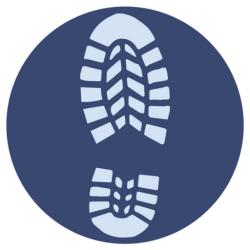 If you walk the entire trail, you’ll pass through many different types of landscape from the Black Mountains, the Shropshire Hills, the uplands of the Brecon Beacons and Clwydian Range to the Eglwyseg moors and river lands of Montgomeryshire. Len will be raising money for the Cardiff and Vale Health Charity and hisown charity, Improving Chances. The money that he raises will be split evenly between the two charities. Please give what you feel you can. 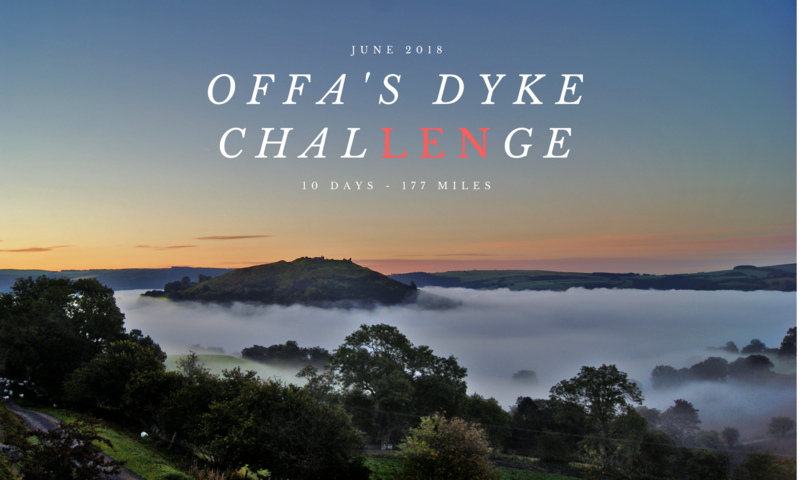 As part of the challenge, Len has invited others to either join him on Offa’s Dyke or take part in a virtual challenge that will be run in June. Physical activity, including walking, has so many health benefits. That’s why Len has extended the challenge to other health boards across Wales . To celebrate the 70th year of the NHS, we should come together to model the behaviours that are necessary to promote healthy lifestyles.